Lipids are an essential component of our body composition and necessary in our daily food intake. Conventional fats and oils are composed of glycerides of long chain fatty acids and are designated as long chain triglycerides (LCT). Body fat as well as the fats and oils in our daily intake fall into this category. In enteral and parenteral hyperalimentation, we can identify such LCT fats and oils. Soy, corn, safflower and sunflowerseed oils are typical of the LCT oils. In the search for alternative noncarbohydrate fuels, medium chain triglycerides (MCT) are unique and have established themselves in the areas of malabsorption syndrome cases and infant care and as a high energy, rapidly available fuel. 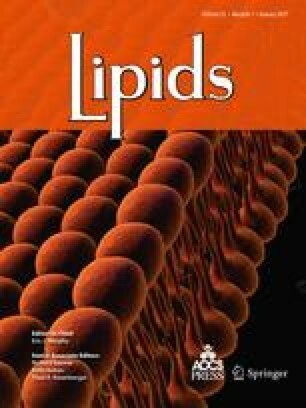 Structure lipids with a MCT backbone and linoleic acid built into the triglyceride molecule have been developed to optimize the triglyceride structure that is best for patients, particularly the critically ill. Structured lipids with built-in essential fatty acid components or other polyunsaturated fatty acids promise greater flexibility in patient care and nitrogen support.